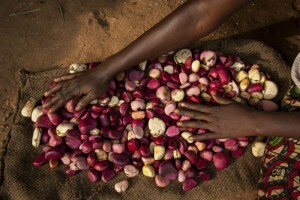 Since 2009 the Slow Food Foundation and the FAO have worked together to safeguard and promote traditional productions of four African countries: Guinea-Bissau, Mali, Senegal and Sierra LeoneThanks to the collaboration of food producers, cooks, experts, researchers and the whole local Slow Food network, the food biodiversity of the four countries was mapped. Local and traditional foods were identified in each country and four new Presidia have been identified: Kenema Kola (Sierra Leone), Wild Palm Oil (Guinea Bissau), Fadiouth Island Salted Millet Couscous (Senegal) e Timbuktu and Gao Katta Pasta (Mali). 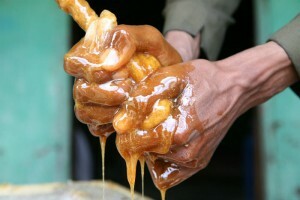 The Honeys of Ethiopia network was created to promote one of the country’s most representative food products. Two Slow Food Presidia, for Tigray white honey and Wenchi volcano honey, formed the network’s starting point, and in 2009 it was expanded to include the Terra Madre beekeeping communities. The project is the result of a collaboration between Slow Food and several Italian partners: Modena per gli Altri (MOxA), Parma per gli Altri (PPA) and CONAPI, the consortium of Italian organic beekeepers and farmers.The network allows beekeepers and their communities to share experiences, training opportunities and tools for commercialization. To date, it is made up of producers from the Tigray White Honey Presidium, Wenchi Volcano Honey Presidium and the food communities of Gassa Chare (Dawro Konta), Wolisso, Shalala, Orde and Getche. Each honey displays characteristics as diverse as the territories from which they originate, representing their varied environments, climates and unique floral essences. The Al Jufrah Oases are located in central-northern Lybia. Over many centuries, these oases were the crossroads where the trans-Saharan caravan routes connecting the south to the Mediterranean coast met the trade routes linking east to west, along the 29th parallel. 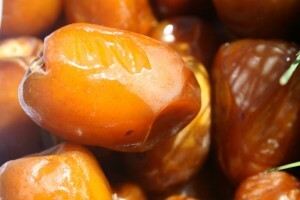 There are still dozens of local varieties of dates cultivated in this region today; each variety has its specific features, capable of astounding even the most curious and highly sophisticated palates. 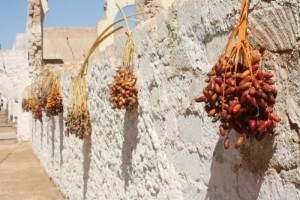 The project Improvement and valorisation of date palms in the Al Jufrah Oases, launched in May 2009, is funded by the Directorate General for Development Cooperation of the Italian Foreign Ministry and coordinated by the Istituto Agronomico per l’Oltremare in Florence, in collaboration with the Libyan Ministry of Agriculture and the Slow Food Foundation for Biodiversity. The aim of the project is to support local economic development through actions benefiting quality date producers and protecting the agro-bioviersity of the region.